Sentencing alternatives for veterans? There are dozens of specialized courts across the country that employ therapeutic programs to help keep veterans out of jail. "Veterans Treatment Courts: A Second Chance for Vets Who Have Lost Their Way" is a new publication that tells the story of these veterans and the judges, veterans advocates, and treatment professionals who are fighting to ensure a second chance for vets who find themselves caught up in the criminal justice system. 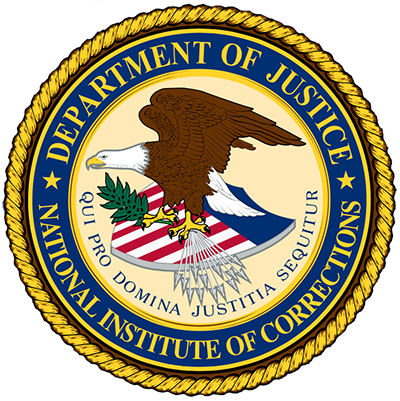 The publication was produced in partnership by the National Institute of Corrections (NIC), a division of the Federal Bureau of Prisons, and the Veterans Health Council of Vietnam Veterans of America (VVA). The report is based on a series of interviews and personal observations of the judges, veterans, and veterans advocates who have been intimately involved in the founding and operation of veterans treatment courts. In this book, they relay how veterans treatment courts are "the right thing to do" for justice-involved veterans who commit certain crimes associated with the lingering legacy of their wartime experiences. Court staff and graduates of veterans treatment court programs describe, in often exquisite detail, what their roles are and how they have come to embrace the concept that these courts, which use a carrot-and-stick approach to rehabilitate rather than overtly punish veteran defendants, represent what one veteran in Buffalo, New York, a key player in the creation of the first of these courts in the nation, has called "the most profound change in the attitude of our criminal justice system towards veterans in the history of this country." Objectives of this webinar are: Introduce NIC's new publication "Veterans Treatment Courts: A Second Chance for Vets Who Have Lost Their Way" by Bernard Edelman, Deputy Director for Policy and Government Affairs, VVA, and consultant Dr. Tom Berger, Executive Director of VVA's Veterans Health Council; Describe the inception of veteran's treatment courts and their focus; Highlight successes and challenges of veteran's treatment courts; and Hear a veteran's personal story of the impact of veteran's treatment court on their life.